Say goodbye to the un-natural chemicals that effect our bodies and cause disruptions in our natural flow. Through herbal remedies and tinctures, say hello to a natural, holistic way of healing your body. If you’re anything like me, then you suffer with anxiety, sleep horribly and have muscle and joint pain. I was a huge skeptic when I first heard about CBD because the thoughts of “Would I get high off of this?” The answer is NO, there is absolutely no THC in this product! I didn’t want that side-effect. 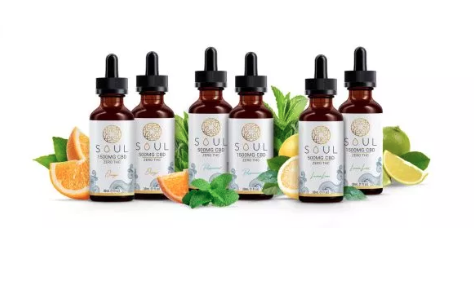 I decided to try it and decided on this brand because I completely trust and love the co-founder of MySoulCBD, Angie Lee. I absolutely LOVE this product because it helps with my anxiety and helps me sleep better as well as helping with all of my joint and muscle pain. Help me with my anxiety, sleep, and pain!